A comprehensive report from New Frontier Data and MJ Freeway gained new insight into cannabis consumers in the U.S. The report is titled 2018-2019 Cannabis Consumer Report: Archetypes, Preferences, & Trends and intended to identify different cannabis consumer groups and reasons for why they use cannabis. New Frontier surveyed over 3,100 cannabis consumers in medical and recreational use states and the District of Columbia (D.C.). 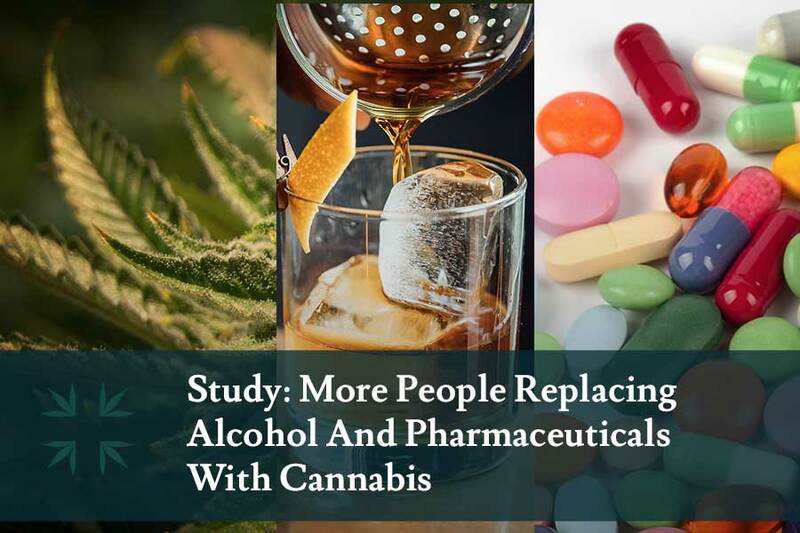 Although the survey was meant to uncover spending behavior, purchasing decisions, and long-held beliefs about cannabis, the report found that more people are replacing alcohol and pharmaceuticals with marijuana. From the results, New Frontier assembled consumers into nine distinct archetypes segmented by the frequency of use, spending habits, product preferences, and other factors. The nine archetypes can be broadly classified into three groups: High-Frequency consumers, Moderate-Frequency consumers, and Low-Frequency consumers. Among the heavy users were the Traditional Lifestylers, Modern Lifestylers, and Functional Dependents. Of these, the Functional Dependent is the archetype for the cannabis consumer that enjoys cannabis at parties and spends a considerable amount every month on cannabis. A Traditional Lifestyler takes a classic approach to cannabis consumption, while the Modern Lifestyler may use new cannabis technology to enjoy the plant. The Moderate-Frequency group includes Medical Purists that primarily use cannabis for its medical applications. Weekend Enthusiasts are more relaxed in their cannabis use, but they do like to indulge in moderation. The Discreet Unwinders refers to consumers like parents who value the effects of cannabis but aren’t outspoken about it. The light consumers include the most prevalent consumer type, the Social Opportunist, who typically like to consume cannabis in social situations a few times a year. The Silver Dabblers don’t partake in cannabis use that often, maybe a few times a month to relax. The Infrequent Conservatives consume cannabis only a few times a year to unwind. Among participants, 84% said that they believed cannabis has medicinal benefits. The survey results seem to support that percentage. A staggering 94% of medical users reported that medical marijuana significantly improved their condition enough for them to reduce their medication or replace it completely. 73% of medical cannabis patients said they used marijuana instead of taking other medications. Specifically, 41% of cannabis users used cannabis as a replacement for over-the-counter painkillers. 48% of participants replaced their prescription medication entirely with medical cannabis. The report suggests that the opioid epidemic in the U.S. has turned many patients away from opioids and on to medical marijuana. In terms of cannabis and alcohol consumption, 74% of cannabis consumers believed that cannabis is safer than alcohol. Only 4% of survey respondents disagreed. 46% of participants that drank alcohol said they liked cannabis better than alcohol. 28% enjoyed cannabis and alcohol equally. Surprisingly, nearly half of the alcohol drinkers said they expected to reduce their alcohol consumption for cannabis in the future. As legalization continues to roll through the U.S., more Americans are becoming more likely to purchase cannabis and even replace their current alcohol and pharmaceutical use. Cannabis consumers use the plant for a variety of reasons from wellness to relaxation and stress relief. With so many cannabis products available, new consumers are growing wise to the personal benefits of cannabis. Anna attended four years of medical school before spending eight years working in the marijuana industry as an activist and journalist. She's a MMJ card holder and passionate about sharing the medicinal benefits of cannabis with others. Anna's work features on marijuanapatientcard and mymarijuanastory.com.